Lunch buffets in the middle of your one day training course - same old same old right? Or maybe not. I like to try out new things on the lunch buffets we do (another one tomorrow). After baking the chocolate cake in an orange (you get a great orange flavour from the skin) I tried a few other things in the following weeks back in June last year (only just catching up with the backlog of pics). 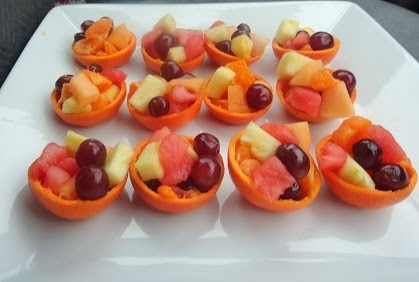 Fruit salad in a clementine shell. 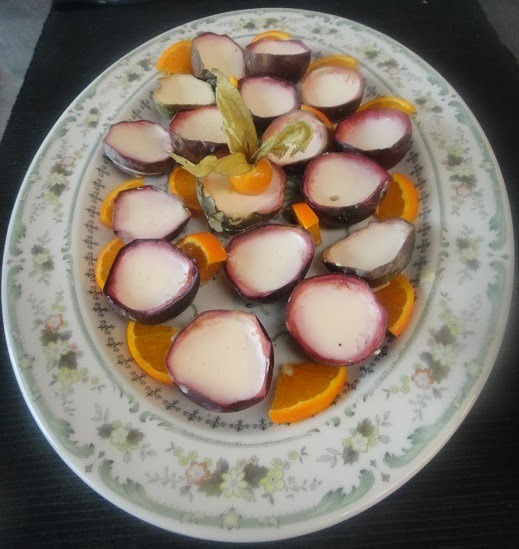 Coconut and passionfruit panna cotta served in the emptied passionfruit shells - best use of ingredients? 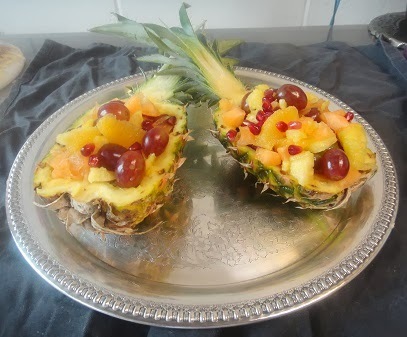 Fruit salad in pineapple. 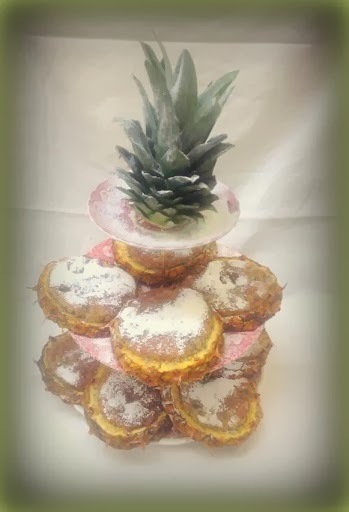 Also want to try out a coconut cake baked in pineapple shell.... AND meringue baked in the pineapple shell.